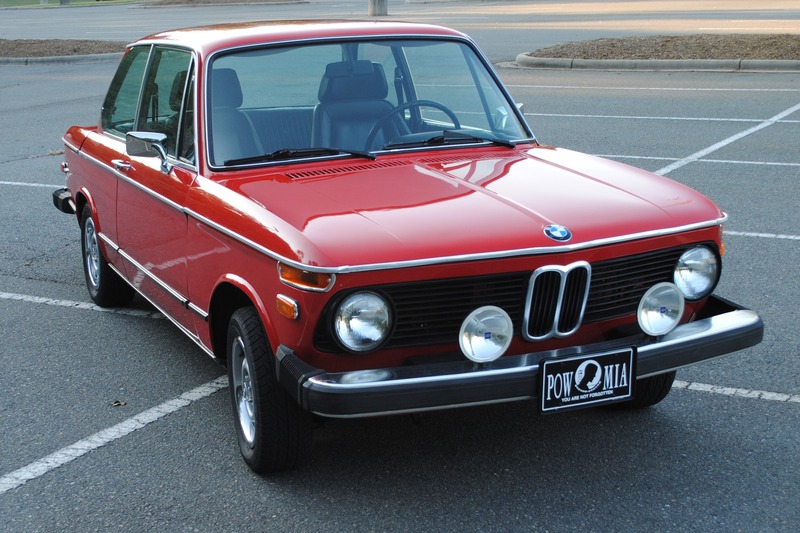 1974 BMW 2002tii US 2780988 was manufactured 11 January 1974, and delivered shortly thereafter through Hoffman Motors. The vehicle’s window sticker shows Port of Entry Baltimore and delivery to Leith Lincoln-Mercury in Greensboro, NC. 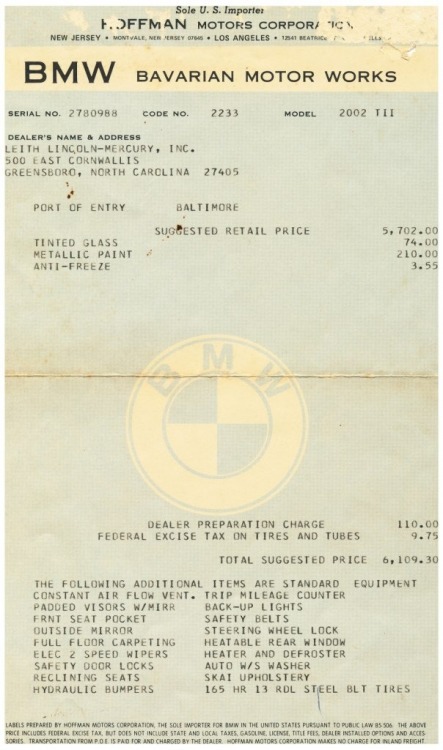 BMW Group Archives indicate its original color was Polaris Metallic. The original owner moved the car to Florida, where it remained through a series of later owners. One of those previous owners changed to color to red. I purchased 2780988 in July 2012 and moved it back to North Carolina. 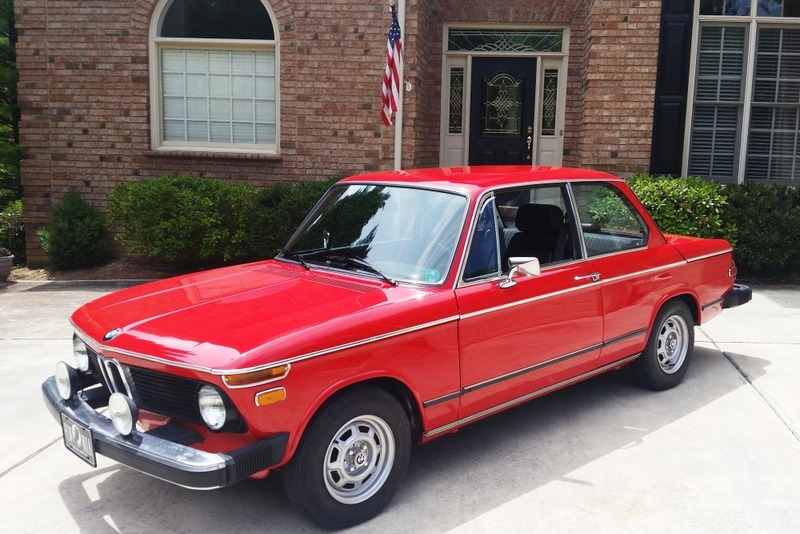 Our 2016 re-paint maintained the red theme by selecting BMW Verona.